Welcome to Poplar Hollow Studio...where unique handpainted & mixed media folk art is created with gourds...many of which are grown on the family farm! The creations include OOAK (one-of-a-kind) old-fashioned santas & snowfolk, sweet spring bunnies and chicks, halloween jackos, skellies & witches; whimsical chickens, owls, and moons and so much more. My gourd art is individually hand-crafted for quality, originality and character you will not find in mass produced products. Inspiration comes from the simplicity of country living on the farm, the beauty of nature and its changing seasons, an affinity for treasures from a bygone era. Holiday traditions are also celebrated in my work. I exhibit and sell my work at juried art & craft shows in the Mid-Atlantic region. On the 10th day of month I feature at least one new piece via the PFATT Marketplace...an online marketplace featuring folk artists from across the country! A limited amount of inventory may be available in my Etsy shop during show season, but I do focus on building inventory for shows during the summer and fall. I list my remaining inventory on Etsy after my final show of the year just in time for holiday gift giving! My work with gourds continues to evolve in new and exciting directions. 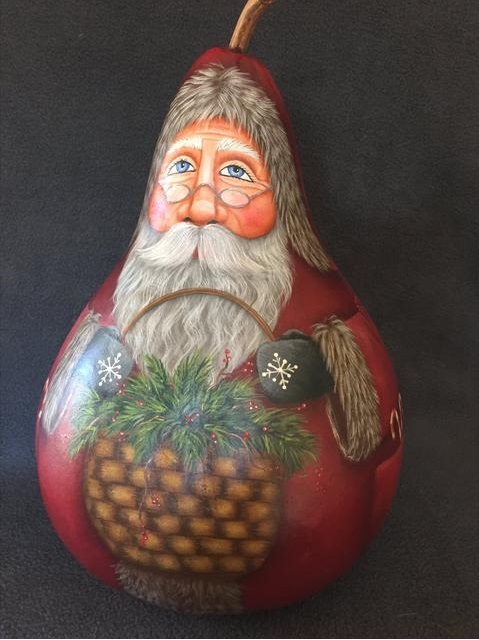 I am humbled and honored to have people return year after year to add to their collections or purchase one of my gourds as a gift for a special someone. 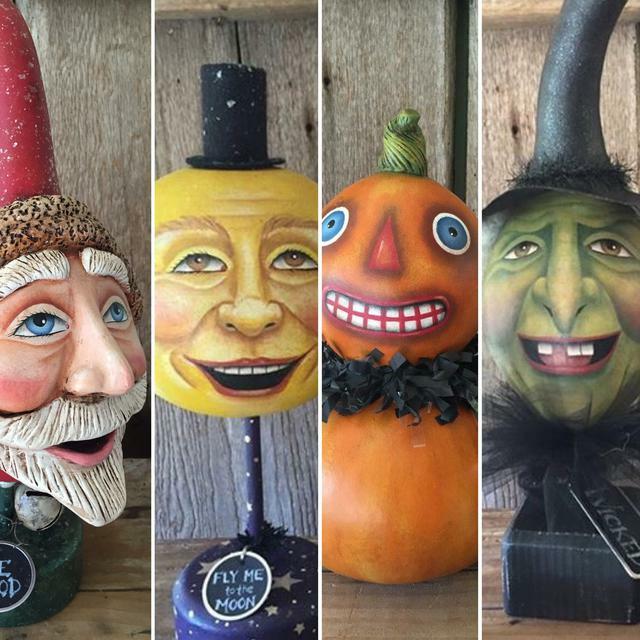 My wish is to simply light up a face or create a smile with one of my gourd creations. Be sure to sign up for our mailing list on our Contact Page of this website.